Poll Everywhere is a great way to bring in mobile devices into the classroom to access student knowledge during discussion. They invented the technology behind the world’s first audience response tool for mobile devices. 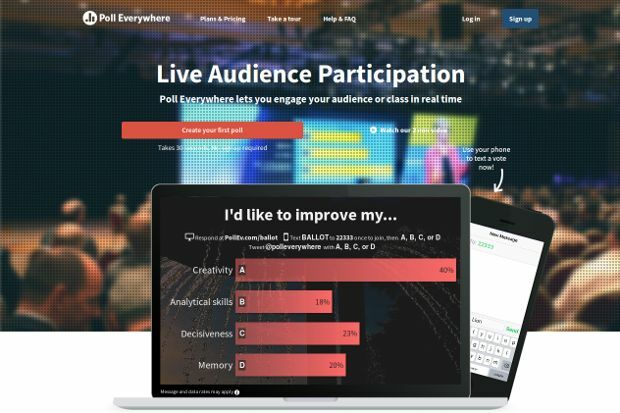 Over 30 million people have texted, tweeted, or used the web to respond to live presentations – in real-time.